A renovated Red Bridge would have signature towers and a corner conversation garden. The blight report from city staff is even more dismal: leaky mold, dangerous electrical wiring deterioration, break-ins and vagrancy and a roof so feeble in some unoccupied areas the roofing company wouldn't let its crews out on it to repair the leaks. A redevelopment plan endorsed by the Kansas City City Council on Thursday could restore the neighborhood center to something like its previous glory. 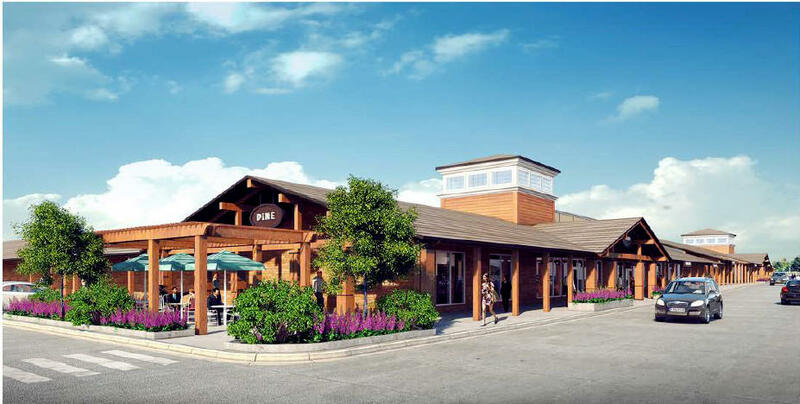 Planning and zoning chair Scott Taylor describes a vision of Red Bridge as a family destination bringing back convenient shopping, dining and entertainment to one of the city's more prosperous areas. The old bowling alley is part of the vacant Red Bridge space. Lane4 Properties, the developer interested in buying the Red Bridge property, brings hope. It is the company that renovated the Corinth Square shopping center in Johnson County – another 1960s J. C. Nichols Company development that had gone downhill. Corinth is now revitalized and enjoying a resurgence. All the neighborhood associations around the Red Bridge center endorsed the renewal and urged the council committee to do likewise. The only person speaking against the plan said he represented a group that has opposed other recent development in the area including the widening of Red Bridge road and construction of a new bridge that was completed several years ago. Armed with the unanimous endorsement of the full City Council, Lane4 will approach Kansas City's Planned Industrial Expansion Authority next week for some help on the $18.6 million project. All in all, the company will be asking for a 10-year tax freeze followed by 15 years of 50 percent property tax abatement. Lane4 will also ask the city council to grant Community Improvement District status for the Red Bridge center, allowing a 1 percent sales tax for continuing improvements.